The reviews today are, in a sense, opposites. 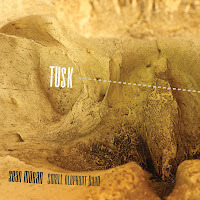 Tusk by Sean Moran is a set of compositions of some forward thinking songs for a quintet. 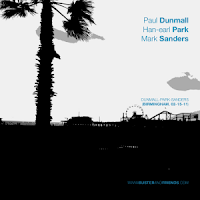 Birmingham, 02-15-11 by Han-Park-Earl is avant jazz trio with two European free jazz luminaries. These two New York based guitarists have different approaches to expressing their creative energy and their efforts are well with your listen. The sound of the nylon guitar is an important element on Tusk, guitarist and composer Sean Moran's upcoming release with his group, the Small Elephant Band. It's something in the roundness of tone of the guitars attack that lends a special subdued bite that contrasts colorfully with the other instruments. 'Elliptical', the albums first track, begins with the guitar solo but soon all of the melodic intsruments are bobbing, weaving, and chasing each other. 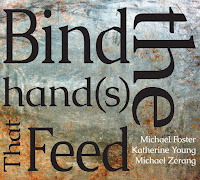 The finely piercing sound of Michael McGinnis' clarinet and the percussive chime of Chris Dingman's vibraphone, makes for a pleasant pallete of sound supported by acoustic bassist Reuben Redding and drummer Harris Eisenstadt. Things really take off on the next track, 'Circle One, Two', of which I imagine a Venn diagram of overlapping ovals of composition and free playing, and their intersection portion burns brightly. 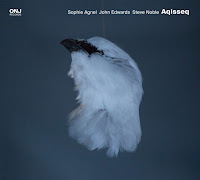 Other songs like 'Moon Reflected' uses McGinnis' clarinet to set an meditative atmosphere, over which Dingman and Moran lend exotic overtones and 'Ten Mirrors' builds intensely with Eisenstadt's drums a key element. Throughout the album, tight interplay and angular twists make the songs quite attractive. This is a really nice collections of songs, featuring both compositions and playing of which their layers will continue to reveal surprise over repeated listenings. The album's official release is April 1. Birmingham, 02-15-11 begins with indistinct rumblings, scrapings and the chirps. 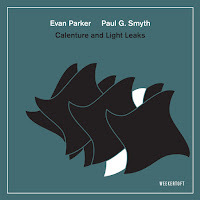 Soon, Park's guitar is sliding and sputtering, delivering accents and tonal clusters neatly between Mark Sanders pulsating percussion and Paul Dunmall's intense and melodic saxophone work. The three musicians are nicely balanced, each instrument an integral voice in the improvisation. 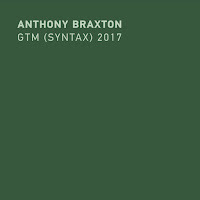 Dunmall is the main voice as the first track picks up, and when Park's guitar emerges as the driving force, he relies on creating biting textures and rhythmic figures intersecting with percussion. Sanders and Dunmall are veterans of free jazz and have worked together many times in the past. Here, as usual, Sander's percussion work is invigorating, pushing the musicians and directing the energy. There are moments where he drops out, or holds back, that reveal how powerful of a presence he is. Dunmall seems to always have the most appropriately unexpected lines, whether the solo voice or providing comping. Park is a newer voice, and he holds his own with this virtuosic crowd. His approach on the electric guitar veers between clean and slightly overdriven tones, and has unique melodic approach, favoring fragments and tonal clusters, often filling in the spaces and painting with contrasting colors. The three together deliver an expert lesson on group interplay and spontaneous compositions. 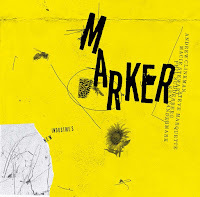 Check it out/download this re-release from Park's website. The Sean Moran album is quite remarkable. I can't wait for it's physical release.